New concept previews a new hot hatch version of the company’s smallest car, which is inspired by the original Golf GTI and will go on sale early next year. Volkswagen will launch a hot hatch version of its Up city car, the company has confirmed. The news comes after it revealed a new concept was due to be unveiled in Austria next week. Although the new Up GTI is officially a concept, Volkswagen makes no secret that this is a ‘near-production concept’, and says a production version will go on sale early in 2018. The new Up GTI is due to be unveiled at the famous GTI Meet at Lake Worthersee in Austria, and unashamedly pays homage to the original Golf GTI, which was launched 41 years ago. That means it has a red stripe across the grille with the GTI logo above it, as well as double stripes across the wide side sill panels and high-gloss black exterior mirror caps. The interior, meanwhile, includes a leather-trimmed sport steering wheel, a GTI gear knob, and the legendary 'clark’ tartan seat pattern. 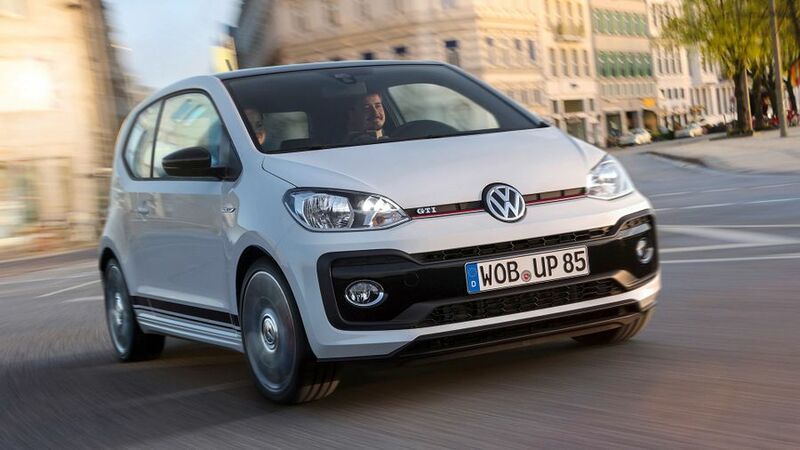 The Up GTI also stands out from other Ups thanks to sitting 15mm lower on sports suspension, as well as having a red strip at the rear and a larger roof spoiler. It’s powered by a turbocharged 113bhp engine, which Volkswagen says will send the car to 62mph in 8.8 seconds and on to a top speed of more than 120mph – figures that are very similar to the original Golf GTI. 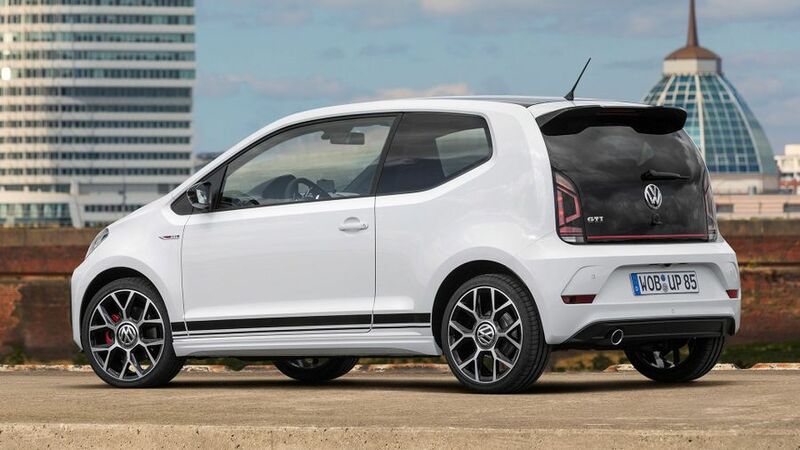 The choice of colours – tornado red and pure white, along with dark silver, black pearl and costa azul (blue) metallic – is also inspired by the original GTI, but the company is quick to claim this new Up GTI does not just look like one, it also drives like one. We’re yet to drive the car, so can’t comment on that just yet. But, with the production car due to go on sale early next year, we’ll let you know just how good it is as soon as possible. Interested in buying a Volkswagen up! ?